Our May show was a great success. Thank you to everyone who came out to support us and brave the extremely hot weather. As always our riders worked hard, competed well, and supported each other. Once again we had Divine Horse Mobile Tack store here with a large selection of equipment and apparel. We were also lucky to have delicious food at a concession stand provided by the grandma of one of our riders. Abbygale and Escapade Fancy Pants are still in the lead but Sophia and White Rose Rubydoo are slowly catching up. Don't forget that at the end of the show season we have a party and recognize all our riders. We are always welcoming new riders. Our next Fun Show is June 9th. Posted in Horse Shows, Uncategorized. Tags: horse show, riding club, shows on May 12, 2018 by Carol A. Mejia. We had a very successful fun show here at White Rose Equestrian yesterday. The weather was perfect and our competitors worked hard. 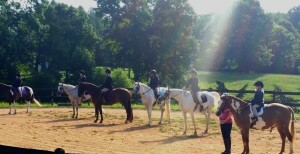 I have to mention that we have a great group of Riding Club Members. They are all so supportive of each other. We were also lucky to have Montana Webb of Diamond M. Photography taking pictures of our competitors. If you would like to order pictures taken at the show please reach out to her via one of the above links. We also had a mobile tack store provided by Divine Horse Tack. You can buy from them online or their store that will open this summer on Congress Street in York, SC. I know you are all eager to see who earned the most points. This show also shook up the overall leaderboard. Abbygale and Escapade Fancy Pants have a very impressive lead but other riders still have a chance to catch up with her at upcoming shows. The trick is to show as often and in as many classes as possible. We are always welcoming new riders. Our next Fun Show is May 12th. Posted in Horse Shows. Tags: horse show, riding club, shows on April 15, 2018 by Carol A. Mejia. We have our first Fun Show of 2018 under our belt and it was a great success as usual. The weather was unseasonably very cold but we still had a very good turnout. 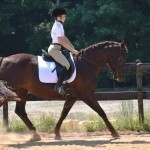 Our established riders did well and our new riders learned what it's like to participate in a horse show. All competitors who join our Riding Club are eligible to collect points at every show throughout the season. These points are tallied at the end of the year and the riders with the most points are recognized. Our next show is April 14th, please join us! As always I must thank all the volunteers. It takes a great deal of time and effort to pull together, even a small, fun show and I couldn't do it without the help of a small, dedicated army. If you would like to volunteer at any of our events please let us know. Click here to see more photos of the show. Posted in Horse Shows. Tags: championship points, horse show, shows on March 12, 2018 by Carol A. Mejia. We had another fun, friendly show here today at White Rose Equestrian. Thank you to everyone who came out to help and compete. 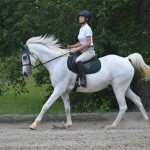 I am so pleased with all our riders and the progress they have made over the summer while competing. Showing is an opportunity for them to put into practice what they learn in weekly lessons. 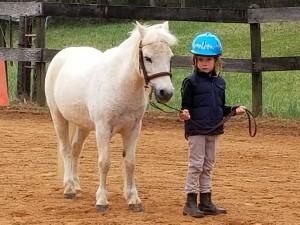 It also gives them the freedom to explore their riding abilities and grow as equestrians in ways that lessons alone could never do. After today's show, we have a change in the overall leaderboard. Everyone still has time to catch up at our Fall Fun Show on October 28th, 2017. 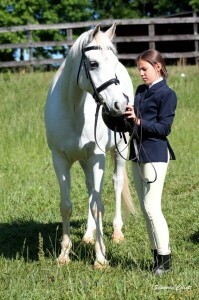 Our Fall Fun show will also have a costume class so start thinking about how you are going to dress up your horse. Posted in Horse Shows. Tags: horse show, riding club, shows on August 6, 2017 by Carol A. Mejia. 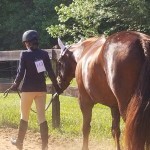 Here at White Rose Equestrian, we host several fun, friendly horse shows a year. 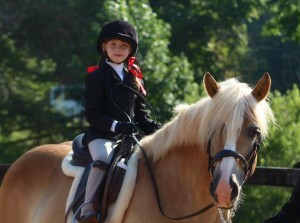 Our riders look forward to showing off their skills and winning ribbons. But there is much more to it than that. Our emphasis is on learning and improving and our motto is, "The most important thing about showing is having fun!" 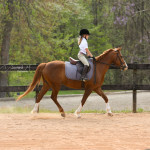 Most of our students are beginner to intermediate riders. They ride once a week and do not own their own horses. They don't have an opportunity to travel to shows. I was bitten by the horse riding bug many years ago. I can't remember a time when I wasn't obsessed with horses. I read every horse book I could get my hands on, tied a rope to the handlebars of my bicycle and pretended they were reins, and dreamed of owning my own horse one day. But, we weren't well off. We lived in a small apartment above a store with a yard the size of a pocket handkerchief and I knew I wouldn't be getting a horse anytime soon. I was lucky enough to start riding lessons when I was eleven and used my weekly allowance to pay for them. I would ride the bus there early Saturday morning and stay all day. I did anything and everything the riding school owner asked of me just to be around the horses. And if I was lucky, I could ride William, my favorite, out to his field at the end of the day. Once a year we would visit Ilkley for the day and sometimes there would be a horse show/gymkhana being held. I was so envious of those girls with their spotless ponies, fancy show clothes, and opportunities I thought I would never have. My passion continued as I got older and eventually, as an adult, I bought my first horse. Finally, I had the chance to show. I participated, mainly, in jumpers but also did some cross country and dressage events. I also ran a small equestrian facility, Laneside Stables. 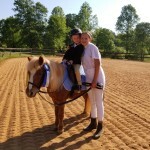 At Laneside Stables we gave riding lessons, operated a pony club, manufactured show jumps, and ran small horse shows. 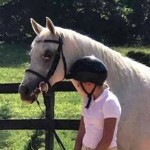 Life happened and I ended up in America and that brings us to present day and White Rose Equestrian. We have only been at our location for six months but we hit the ground running and have no intention of slowing down. We have many upgrades and improvements planned but our facility already had all the basics in place for us to grow and expand what we offer. One of the first things I was determined to do was to host some fun shows. They are hard work and take a great deal of time and effort to organize and pull together but they are so worthwhile. I get so much satisfaction when I see the riders improve and become more independent with each show we host. There is no pressure on anyone to win, just to learn and have fun. 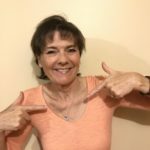 So why do I host horse shows? I do it because at heart I am still the same horse-mad little girl I always was. The one who never got to show as a child. The one who wanted for a pony more than anything in the world. 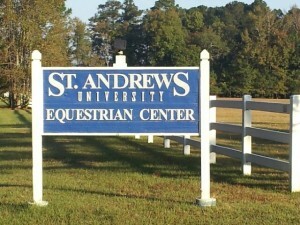 I host horse shows so that kids can experience opportunities I never had. They are making memories. When they are all grown up they will be able to say, "I used to ride when I was younger. I even went to a few horse shows." Posted in Horse Shows. Tags: horse show, pony mad, shows on July 25, 2017 by Carol A. Mejia. We had another successful Fun Show here today at White Rose Equestrian. We are very grateful to everyone who comes out to support us. We have a wonderful barn family. 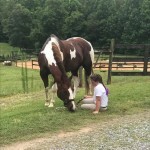 Everyone is helpful and supportive of each other and we welcome horses and rider from other barns in the area. We would like to give a big thank you to all our helpers and volunteers. We could not do this without you. I see progress with each show we have. Our riders are learning to become more independent and confident. Our next Fun Show will be August 5th, come and join the fun. Posted in Horse Shows. Tags: championship points, horse show on July 15, 2017 by Carol A. Mejia. We have now had two very successful Fun Horse Shows here at White Rose Equestrian. All our riders, parents, helpers, and friends did a great job and made the show a memorable success. Our emphasis is on learning and having fun and our competitors take it very seriously. 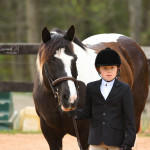 We are happy to welcome riders and horses from other barns and look forward to making new friends at future shows. We are very grateful to everyone who comes out to help. It takes a lot of time, preparation, and manpower to put on a horse show. If you would like to volunteer please let us know. The championship riding club points, so far. Championship Riding Club Points are recognized at our end of season party. The date and location is yet to be decided. Posted in Horse Shows. Tags: championship points, horse show, shows on June 25, 2017 by Carol A. Mejia.